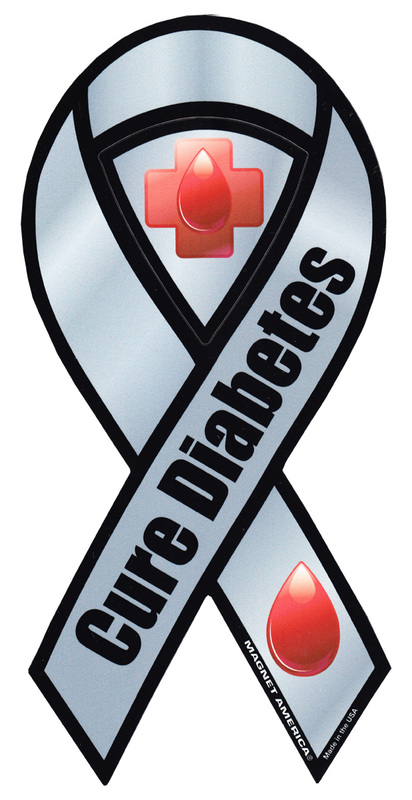 Our 2-in-1 Cure Diabetes ribbon magnets include high quality UV protected printed vinyl ribbons backed with thick .30 mil magnetic material. Support finding a cure for Diabetes with this 4" x 8" magnetic sign. This sign adheres firmly to any flat metal surface. Great for display on your car or refrigerator.